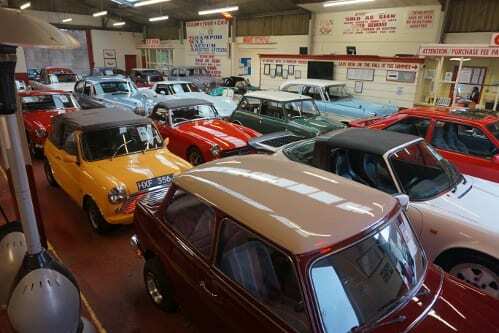 CLASSIC CAR AUCTION TOMORROW AT 11.AM! When can I view the cars? Today from 9-6 or from 9am tomorrow morning. What is the buyers premium? The buyers premium is 6% +VAT with a minimum fee of £100. What if I cant attend the auction but I want to bid? If you cannot attend our auction there are alternative ways to bid (see below). The deadline for all remote bidding options is 9am tomorrow. How long to I have to pay the balance if I win a lot? The balance for all vehicles must be paid by Monday afternoon (02/02/15). Please remember all cars are sold as seen with no warranty implied or given! ONLINE REGISTRATION CLOSES AT 9AM TOMORROW. ALL TELEPHONE BIDS AND DEPOSITS MUST BE SUBMITTED BY 9AM TOMORROW. ALL COMMISSION BIDS AND DEPOSITS MUST BE SUBMITTED BY 9AM TOMORROW.